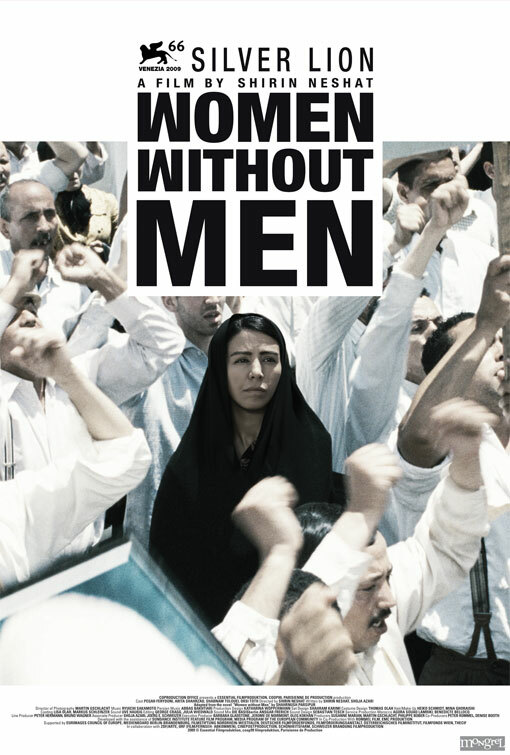 We have chosen Women Without Men as our film of the month of April. The highly esteemed Rotten Tomatoes gave the film four stars, and that means it is a must see. The film is based on Shahrnush Parsipur‘s magic realist novel of the same title. The novel was banned in Iran in the mid-1990s. In her feature-film debut, renowned visual artist Shirin Neshat offers an exquisitely crafted view of Iran in 1953, when a British- and American-backed coup removed the democratically elected government. Adapted from the novel by Iranian author Shahrnush Parsipur, the film weaves together the stories of five individual women during those traumatic days, whose experiences are shaped by their faith and the social structures in place. With a camera that floats effortlessly through the lives of the women and the beautiful countryside of Iran, Neshat explores the social, political, and psychological dimensions of her characters as they meet in a metaphorical garden, where they can exist and reflect while the complex intellectual and religious forces shaping their world linger in the air around them. Looking at Iran from Neshat’s point of view allows us to see the larger picture and realize that the human community resembles different organs of one body, created from a common essence.